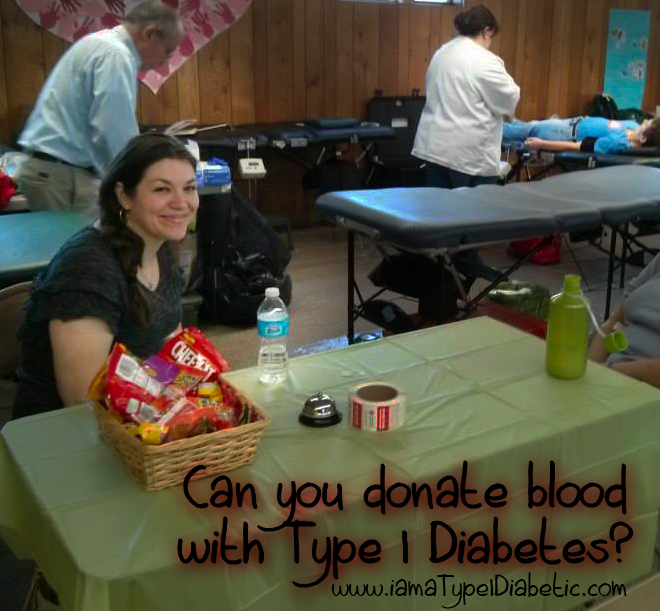 Can You Donate Blood with Type 1 Diabetes? If you are looking for a straight-forward answer, YES we can! I did a post on donating blood about a year ago… and you can read it by clicking here. At that point, the Red Cross told me I couldn’t because of I was diagnosed (1998) and the type of insulin used back then. After doing my research, I discovered that it was in the early 1970s that insulin was switched from cow’s insulin to pig’s insulin. The reason I was told that I couldn’t donate was because of the possibility of spreading mad cow disease… which I had already thought was incorrect last year! Last weekend, there was a blood drive at my church. I thought I would go and try to donate again this year. I was pleasantly surprised to hear I could donate and that I passed all of their questions. My fingers were slightly cold when doing my iron test, but after a second try, I was good to go! The finger pricks didn’t bother me a bit anyway! The blood donation part itself went good. 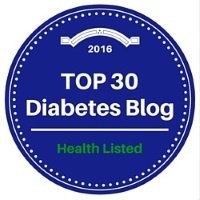 My blood sugar levels remained in the 150-160 mg/dL range. (I was afraid they would drop, but they didn’t). At the end, I drank a small juice-box just in case. My face started to go white. My head hurt. I felt nauseous. I felt like a white box was closing in. I started to sweat profusely. Everyone quickly noticed that something was wrong. The nurse rushed over, laid me down with my feet in the air, and put a cold cloth on my head. I questioned why this could have happened to me? Was my diabetes a factor? Turns out, I hadn’t drank enough water that morning, and my coffee on the car ride over probably didn’t help. I was dehydrated, and got physically sick because of it. I should have done more research about what happens to a regular body after donating blood. I kinda thought I was invincible — a “superwoman” of sorts — but I was just completely ignorant. So, for those of you suffering from Type 1 diabetes, my advice to you: make sure you drink lots of water!! And keep an eye on your blood sugar levels before and after donating blood. ← Dealing with Diabetes is Hard Work! Great advice Calla! I gave about a month ago. Thanks for donating! Awesome 🙂 I’m a type 1 diabetic also and have been donating for years! It feels so great to be able to donate when I originally thought I wouldn’t be able to! I recently learned from a friend who works at a hospital that while they will let people with type 1 donate blood, the hospitals can’t use it because synthetic insulin is technically a steroid. Doesn’t matter what kind of insulin you take, the hospitals won’t use it. I’m sure why they still accept donations, since it’s a waste of their time and money–not to mention our blood.